Over the decades I’ve torn into anything old and hidden to look for a picture of my Delta. Just one picture. It was not to be. Then last year I found an old jewelry box that I had when I was a kid. In it was a tie clip in the shape of a sword that an uncle gave me. There were a pair of cuff links . . . remember those? There was a long 8-page letter from my father. Unlike me he had really nice penmanship. And there was a yellow ribbon, a reading award from grade school. So I put the box on my dresser and for a year all kinds of things have been piled on top of it. Then a few weeks ago, I opened the jewelry box again and I noticed there was a second layer under the velvet ring holder. It was pretty much sealed with age but I pried it loose . . .
. . . and there was the best gift anyone could ever have on their anniversary. It was a picture of my Delta from 40-years ago. It was also a message from him. You see, in all my day to day pile of work, I forgot what year this was. I totally forgot. When I saw Delta’s picture, I held it to my heart and tried to think of how many years ago this was. How many years since I’ve been able to hug him, and rub the pointy top of his head, and hear him talk to me. And it was 40. Not only 40, but 40-years exactly this month. That’s why I knew that Delta had sent me this gift. It was so I would tell you about our anniversary, and so I would remind you to read on our web site all about our special bond. He not only inspired me to build this mission, but his spirit guides it every day. There is no other animal rescue like this one . . . it is Delta’s rescue. The one he wanted so he could help his fellow angels. . .
. . . and give them a place where animals have the same rights as humans . . . where they are loved and cared for, for life . . . and where they will not suffer at the hands of cruel men ever again. Delta had a rough life before he was driven out to the forest and dumped like trash. He was in my dreams, communicating his misery to me a month before we met. He was calling me, not only to him, but to my life’s work. I know that now, 40-years later. I did not know it then. I would have forgotten our anniversary, worrying about so many animals that we have now. But the pull was strong. I pried loose that jewelry insert and there was my gift . . . from my beloved Delta . . . in a time capsule. I didn’t have a real camera back then, but it was as if I took his polaroid yesterday. It has not faded at all with age. Maybe he did that too. The difference between our mission and the others is this: our animals have nobody between life and death in the wilderness except us. Delta had only me. And he called on me to meet him at a precise time and date, so he could lead me to the rest. And looking at his picture I remembered that he used to love it when I rubbed that point on his head. I miss that boy. 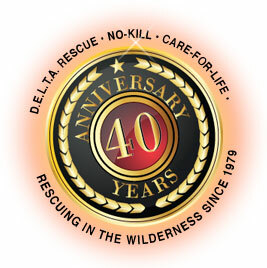 Please send a very special 40th anniversary gift to Delta’s and our animals today. Yes, Leo, I want to help you rescue animals abandoned or born in the wild, like Delta. 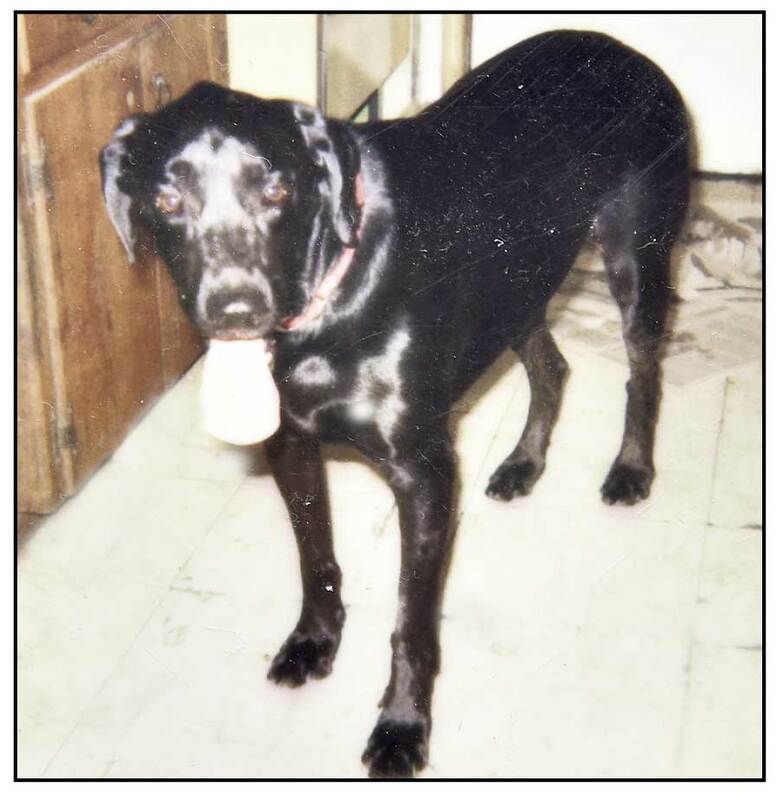 ‹ What happens when your beloved animal angels die? Is Rainbow Bridge real?